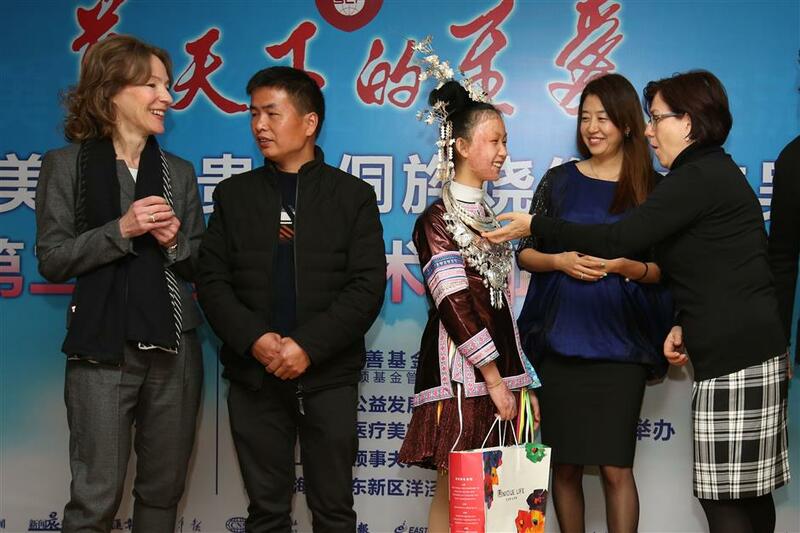 A 14-year-old girl from Guizhou Province's Dong ethnic minority will receive a series of free treatments in Shanghai to repair burns to her face. A doctor examines Wu Deli, a 14-year-old girl from the Dong ethnic minority of Guizhou Province, in Shanghai on March 21, 2018. Members of the Consular Spouses Shanghai, a network consisting of diplomatic spouses, partners and female consular officers in Shanghai, met with Wu Deli, a 14-year-old girl from the Dong ethnic minority in Guizhou Province, on Wednesday. 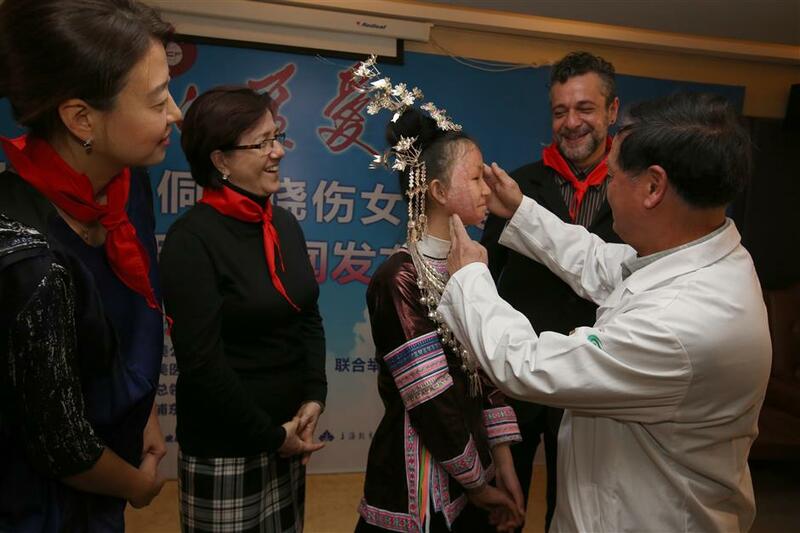 The girl is receiving a series of charity treatments to repair burns to her face at Shanghai's Huamei Plastic Surgery Hospital. She suffered burns on the right side of her face, arms and hands during a fire at her home three years ago while she tried to save her sister, who died in the blaze. The doctors will conduct a series of free treatments to repair burns on her face. Wu Deli talks with members of the Consular Spouse Shanghai on March 21, 2018.